The hippocampus is the region of the brain responsible for memory; it experiences structural changes that are thought to contribute to aging-related memory and mood impairments. Ashok K. Shetty from the Texas A&M Health Science Center College of Medicine, and colleagues employed a lab model to study the potential effects of resveratrol, an antioxidant that is found in the skin of red grapes as well as in red wine, peanuts and some berries. The supplement kept the hippocampus tissues more pliable and flexible and suppressed chronic low-level inflammation. Among the group given resveratrol, neurogenesis (the growth and development of neurons) approximately doubled (as compared to control rats); the resveratrol-treated rats also had significantly improved microvasculature, indicating improved blood flow, and had a lower level of chronic inflammation in the hippocampus. Consequently, the team observed that spatial learning and memory improved in the resveratrol-consuming group, compared with the ability to make new spatial memories significantly declining among the control group at 22 to 25 months. 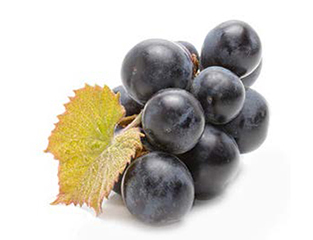 “These results provide novel evidence that resveratrol treatment in late middle age is efficacious for improving memory and mood function in old age,” the study authors submit.